The illustrations are simply stunning and rich in detail. Every page draws the reader into the story. Astrid’s rendition of each animal, the forest, and Hector’s house is remarkable. The animals in the story are familiar and also unfamiliar, giving children the comfort of what they know, and curiosity to learn something new. How many children know of a marten? None in my classroom. Instead of making the animals all one size, Astrid purposely gives them correct proportions – and it works! E.B. White said to never write down to children. The book uses “big words”, such as quest, marsh, merry band, wary, hearty, and more. When I begin to read the book, first reading the title, I talk about the word quest, and ask the children what it means. Then we look at the cover and talk about a quest in the woods, and what that might be. It takes me ten minutes, and the children are eager and curious before I have read the first page. The story flows. It is exciting! Children are drawn to adventure, and they always like animal stories. Fairy tales have withstood the test of time for those exact reasons. This book does the same thing and has all the makings of a fairy tale – I think not a coincidence that the book is centered on Hector’s book of fairy tales. The elements of friendship, family, bravery, and working together are pieces that are important, and also what children want to hear. Bottom line – Children love the book! That’s the true test. I for one am very eagerly looking forward to the next Hector Fox adventure. I rarely purchase a book for myself, and I’ll purchase a new Hector Fox book in a heartbeat. Really. This entry was posted in Book Review, books, children's books, Early Education, Imagination, picture books, reading, young children and tagged Astrid Sheckels, Book Review, Hector Fox and the Giant Quest, picture books. Bookmark the permalink. I thin it’s great that you focus on what the children enjoy. Thank you, Dan. The best teaching and learning, I think. I meant to tell you, Old Sturbridge Village mentioned in their end-of-year newsletter that they had had “A Summer of Charlotte’s Web” – I don’t know if that’s an annual thing. I don’t think it is an annual thing, Dan. E.B. White’s grandniece told me of the event (hoping I could be there). She was a featured guest at the event. Really nice! I guess that explains the collection in the Gift Shop. I just meant the books and stuffed pigs for sale. I don’t remember seeing them before. Oh! I don’t remember seeing that either, although it’s been a few years. They really are first-rate illustrations, Pete. A great book. Your grandson will love it. What a shame, as it is available on Amazon here. I wonder what the difference is between countries. I do hope you can find the book. Best to you, Pete. Thank you, John. It’s a winner. That fox puppet will add the crowning touch so the kids will never forget this book. Jennie, this sounds like a wonderful book! Lovely book! The illustrations remind me a bit of Jan Brett, whose books I always enjoyed sharing with my students. I have not heard of this book before, Jennie. Thank you for the recommendation; it sounds terrific. You are welcome, Robert. It is terrific book, and more Hector Fox books will soon be published. I am glad to read this too. I think children do need to have a challenge, and the key is to explain and discuss each new word or concept with them in a way that is fun and teaches them something they will remember. I substituted for a preschool teacher one day and she was teaching the children the alphabet, using words. When I saw one word, “glider,” my wonder if the children knew what that meant grew and so after she had gone from the class for her meetings, I asked them all what it meant. None of them knew what it meant, so when they went outside for recess, the aides took them and I stayed inside and prepared some construction paper to make gliders out of. When they all came back in, I gave each teacher a glider kit and showed them how to help the children make the gliders. They joyfully make their gliders, for they sensed a toy and an adventure. And then I had them each with help, write the word glider and their names on them, and then they decorated them. After that, five at a time, we had glider challenges, where each child got up and flew their glider to see who could make it do the furthest. And the winner in each group got to fly theirs until there was a winner for the whole class, and then I gave them all lollipops and told them all what a good job they had. I don’t think next time anyone asks them what a glider is, there will be anyone in that class who does not know. And most ABC books have words that are way above the children they are made for, so there is plenty of opportunity to provide plenty of challenges for them. This is a very good story, and makes me want to find the book at the library too. Thank you so much for sharing it. Hooray, Anne! Gliders = emergent curriculum at its best. Seize the moment. I’m glad you liked the book, as a good book gives so many opportunities for teaching. I looked on Amazon for this book and it was $75 and up from different sellers. I’d like to buy it for the library. It looks great! Hi Karen! I checked with the author last week and she confirmed that is true. Apparently, the new publisher (with more Hector Fox books to come) hasn’t released the book yet under their name. BUT I can contact her and do my best to get one for the library. I’ll let you know. Happy New Year! I wasn’t aware of this one, Jennie. You praise it highly. I’ll have to see if it’s in my local library. Thank you for your review. I hope it is, Norah. 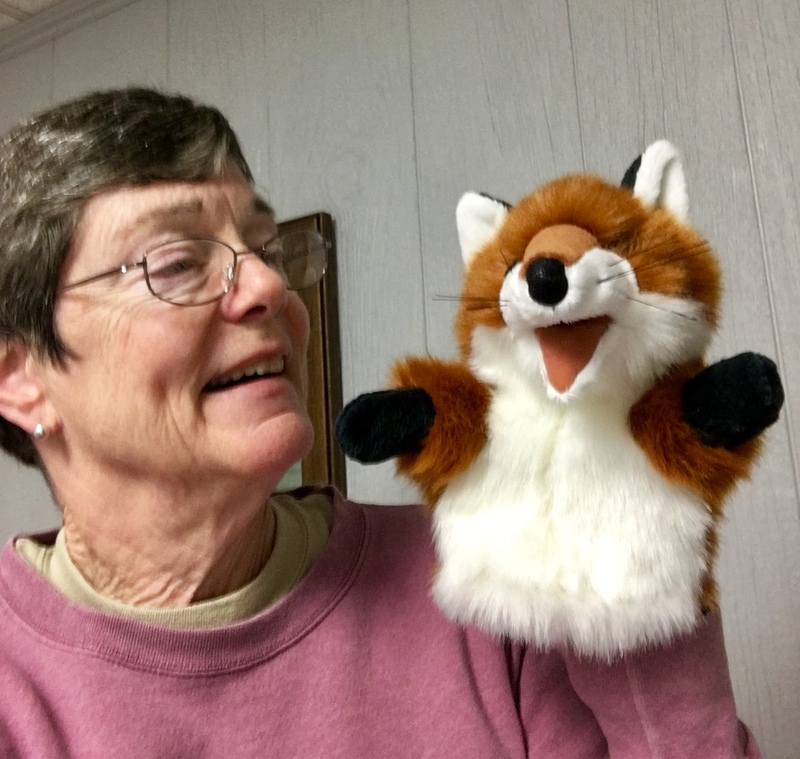 She has written more Hector Fox books to be published soon. I’m excited!